Sometimes, airline schedules and car rental pick ups don’t fit together perfectly. Flights are known for arriving and departing at all hours of the day and night, and this can make it difficult to claim or return your car rental and disrupt your travel schedule a little or a lot. At Airport Rentals, we are well aware of how hard it can be to coordinate air travel and land travel. 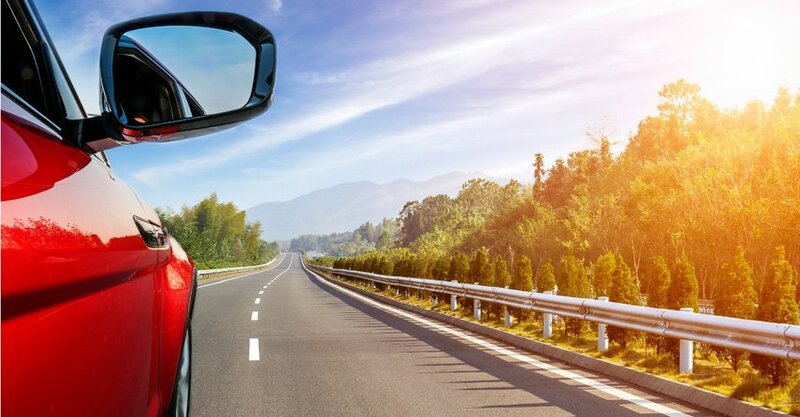 We asked a few of our expert car rental consultants for some recommendations and tips when booking and also while travelling, to ensure that your holiday goes as smoothly as possible. They’ve seen it all! Deciding whether to book your car rental with an on-airport rental company or an off-airport one is an important choice for many aspects of car rental, but especially if you are picking up your car outside of business hours. The usual dichotomy is that on-airport rental companies are more convenient, while off-airport suppliers are a little cheaper. Generally, the offsite depots do all they can to make it easy for potential customers with free shuttle and pick-up services from the terminal. However, if you are flying in late or at an odd hour, the slightly higher price of an on-airport brand is quite likely worth the extra. Rental counters in the terminals are usually open when the airport is, so 24 hours a day or until the last flight gets in. This makes it much, much easier to get on the road after your flight lands, and just makes life a little easier. If your travel plans change, for example your flight is delayed or something comes up which means you can’t get to an off-airport or city depot at the right time, it’s always a good idea to call and let the rental company or your booking agent know. They may be able to work something out, and on the rare occasion they might not - but it’s better to be in contact. If you won’t have a cellphone with you, try to remember to always have coins or a card for a payphone. For this reason, it’s also always important to print out your rental confirmation with contact numbers, addresses and all of the relevant information. Travel insurance is another good thing to have, in case things go south and you need to rebook with another company. A lot of rental companies do allow after hours pickups (between certain times), but there is generally a fee attached. This is good news if your plans change and you know ahead of time that you won’t be there before closing - instead of rebooking completely and perhaps losing a deposit, you can call your booking consultant and arrange to pick up when it will be possible. The fees, of course, vary between companies, but $30-$40 is a good guideline. Of course, if you need to drop it off after hours, there will be another fee to pay! Picking up a car rental late in the evening after a long day of travelling isn’t just a matter of convenience or cost, it can sometimes be a safety issue too. If you are too late to pick up your rental car within business hours, there’s a chance you might be too tired to drive long distances. .
Major airports often have onsite hotels, or a few that are very close by. If your flight gets in late, we recommend booking your first night’s accommodation in one of these. That way you can arrive, get in a good night’s sleep without the bother of more travel, and start out fresh and early the next day with any rental company you choose. Getting a shuttle to an off-site depot is a much brighter prospect at 9am after a good long sleep!